Brain damage, the hidden cost of acute sepsis? According to the UK Sepsis Trust, there are about 150,000 cases of sepsis in the UK each year and 44,000 deaths. Another adverse outcome that is being identified in a growing number of our clinical negligence cases, involving long delays in the diagnosis of sepsis, is brain injury and cognitive deficits, causing lifelong symptoms that are sometimes subtle, but often much more profound. Subtle brain injuries leave no visible injury to been seen by the outside world and as a result these injuries are often left undiagnosed once the patient has been discharged from hospital. The families of these patients report to us that their loved one has changed, their moods are unpredictable, they forget things, they can’t follow a story on television or in a book, they can’t cope in normal social situations, they rely on lists for everything and struggle to do jobs that they have managed for years without a problem. Because there is no visible injury these patient are often misunderstood, and pigeonholed as ‘just depressed’ as a result of the major illness they are recovering from, which of course they often are as well. The problem is that standard treatment for depression doesn’t resolve the problems, which in turn leads to frustration and despair both to the patients themselves, and their families. How can sepsis cause brain injury? In simple terms, if sepsis is left untreated for a prolonged period of time the body responds by lowering the blood pressure, the more acute the sepsis becomes, the lower the blood pressure gets. If the body is left with a very low blood pressure for a prolonged period this can starve the brain of blood and therefore oxygen, and can cause what is termed a hypoxic brain injury, which causes permanent damage. In our medical negligence cases involving acute sepsis, we have seen how the brain injuries caused by hypoxic brain injuries are often intertwined with complex psychological and psychiatric problems which develop as a result of a condition known in the medical field as Post ICU syndrome. Post ICU syndrome is a condition that is a recognised outcome of any critical illness, including sepsis. Left unchecked, acute sepsis eventually leads to renal failure and multiple organ failure, at which point the condition is considered critical. Some of our clients have been left in a coma after acute sepsis, and others have endured weeks of life saving treatment in ICU. After such major treatment the families of these patients report to us that their loved one is ‘different’, they can’t seem to concentrate on tasks, they have nightmares or sometimes even hallucinations, they become easily agitated and are overly anxious, and many of the symptoms listed above caused by a brain injury. 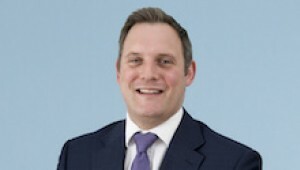 If you, or a loved one have been affected by a potentially negligent delay in the diagnosis of sepsis, or if you have any questions about post ICU syndrome or hypoxic brain injury caused by any form of potentially negligent hospital treatment, please contact James Cahan in the Clinical Negligence team at Thomson Snell & Passmore to discuss this further. All calls are confidential and all initial calls and meetings are free of charge. We act on clinical negligence cases on a no win no fee basis. Sepsis is the world’s leading cause of death from infection and yet it is all too frequently misdiagnosed or not adequately treated. Contact one of our specialist lawyers for a free initial consultation to find out if we can investigate your case with the financial security of a no win no fee agreement.